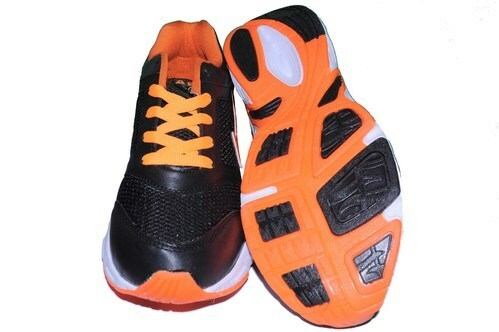 APG "Pawan Top" Fine Sports Shoes Basic Most Demanded Unistar Strong Sturdy Shoes. Very Affordable and highly accepted Joggers made from High Quality Raw Materials. Weight 481 g (per single Shoe) - Weight of the product may vary depending on size. Founded in the year 2007, at Jalandhar (Punjab, India), we “A. P. G. Sports Industries” are a Sole Proprietorship firm, engaged in manufacturing and exporting the best quality range of Cricket Balls, Hockey Ball, Indoor Cricket Ball, Cricket Equipments, Promotional Key Ring, Playing Football, Soccer Ball, etc. The provided products are widely acknowledged for their features like good retention property, light weight and high durability. Under the able guidance of “Mr. Pawan Lalhotra" (Manager), we have attained an outstanding position in this industry.